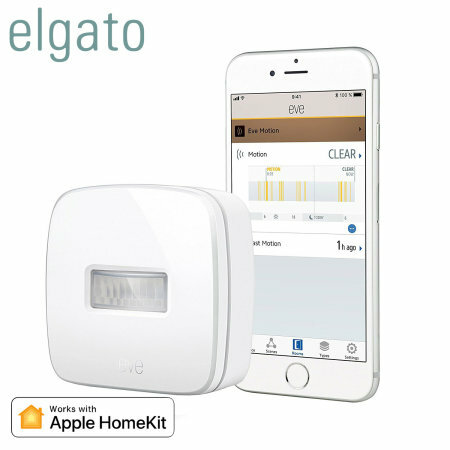 Complete your smart home experience with the Elgato Eve Motion. Use the Eve Motion to activate your HomeKit devices when movement is detected & to enhance your home security, with notifications sent to your device when motion is detected when you're away. 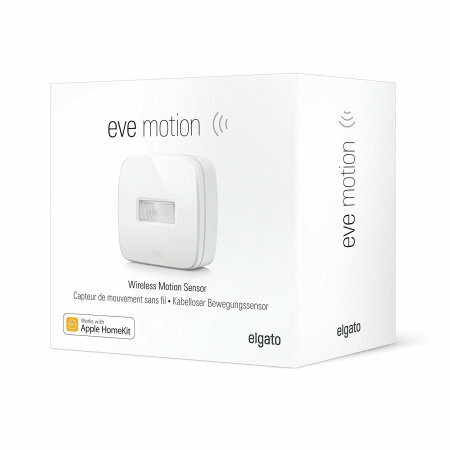 Using advanced passive infrared sensors, the Elgato Eve Motion has an 120-degree field of view and a range of 9 metres, so you can be sure that it will detect any movement. Should you and your family be away from home, the Eve Motion will send notifications to compatible Apple devices if movement is detected for maximum home security. Link your Eve Motion with your other HomeKit compatible smart devices with scenes to bring your home to life. Use the free Eve app to set up scenes, a set of powerful rules that allow you to activate or deactivate your other smart home devices when the Eve Motion detects movement. You could have your exterior lights turn on as you approach the house or activate your lights and extractor fan when you enter your bathroom. The Eve app even lets you set timing rules and more to fully personalise your smart home experience. 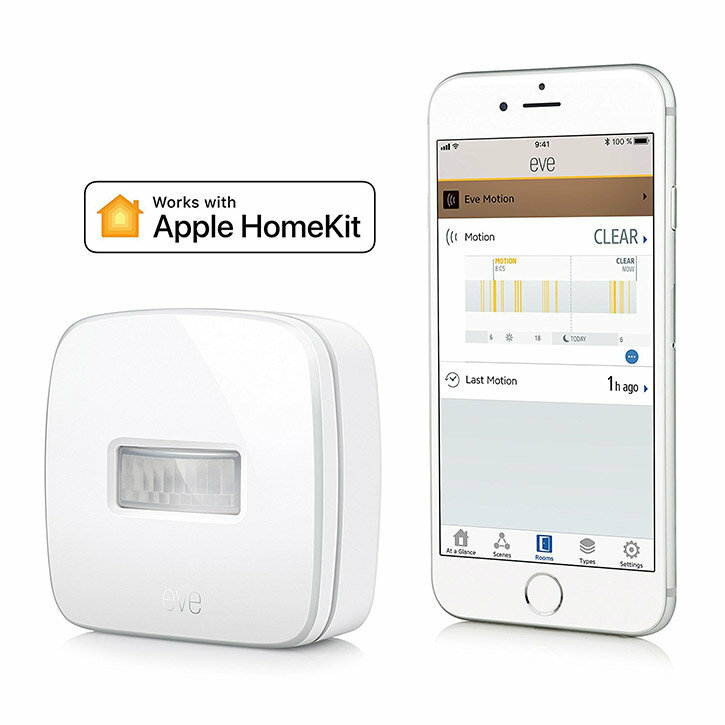 Add the Eve Energy to your current collection of HomeKit enabled smart home devices to help you to take complete control of your home from one device by using your voice with Siri or with a simple tap. Looking for more detail or need to change some advanced settings? Use the free Eve app to control all of your Elgato products and be in complete control from your compatible smartphone. The Eve app offers concise records to help you gain insights into the best way to use you smart tech. 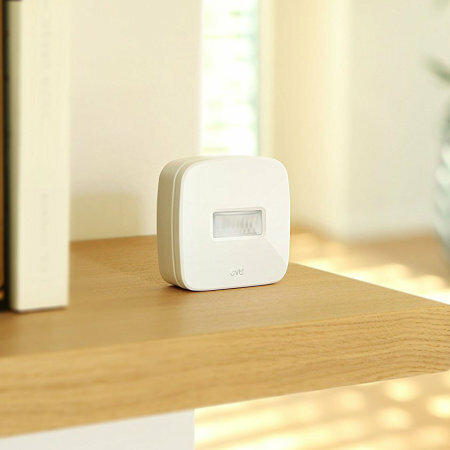 With the advanced settings available with the Eve Motion, you can fine tune the sensitivity of the motion sensor so that kids and pets do not constantly trigger it. 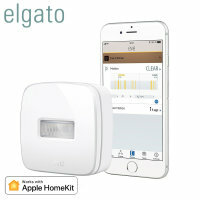 Coming in a compact, sleek white design and without any wires, the Elgato Eve can be placed anywhere within your home and blend in with its surroundings. 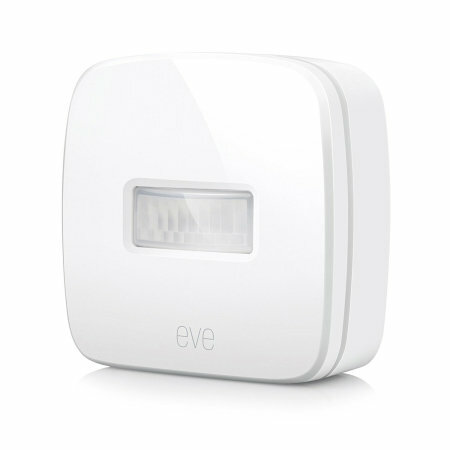 Powered by replaceable AA batteries and equipped with Low Energy Bluetooth, the Eve Motion works efficiently in any room without the hassle of wires. With IPX3 water resistance, the Elgato Eve Motion is splash-proof and therefore suitable for both indoor and outdoor use. Please Note: The Elgato Eve Energy requires an iPhone, iPod touch or iPad with iOS 10.3 or later. In order to control this HomeKit enabled device automatically or away from home you must have Apple TV with tvOS 10 or later or an iPad with iOS 10 or later set up as a home hub.